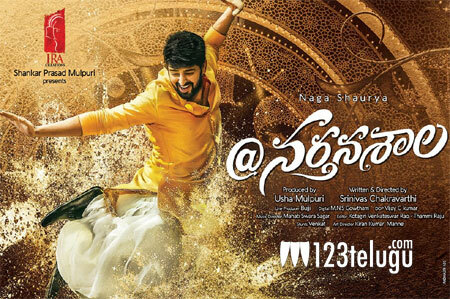 We all know that Naga Shourya is doing a film called Nartanasala which is being directed by debutante Sreenivas. The latest we hear is that the makers have decided to release the film on the 30th of August. The film is an out and out comedy filled with good romance. Naga Shourya’s home banner Ira Creations is making this film which has Yamini Bhaskar and Kashmira Pardeshi as the female leads. Naga Shourya is promoting the film in a very unique manner and now with the release date announced, the film will be competing with Chay’s Sailajareddy Alludu which comes on 31st August.